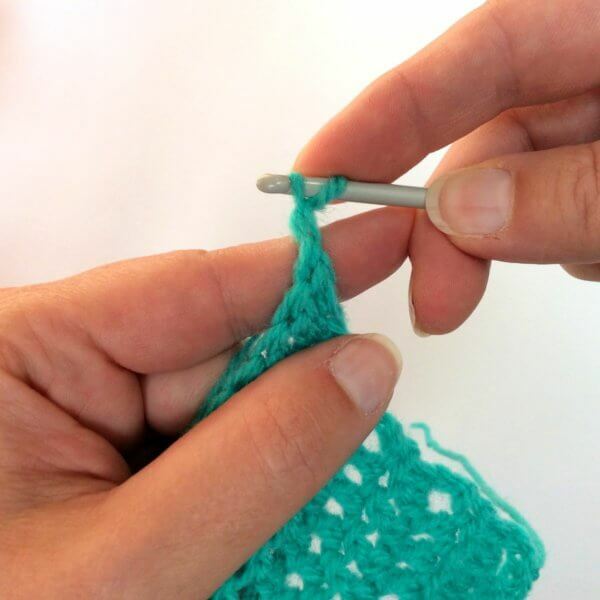 Usually, when beginning a new row or round in a crochet project, we start with a chain 2 or chain 3 to replace the first double crochet (dc) stitch. However, a chain of stitches is much skinnier than a regular double crochet, which makes it quite visible in the resulting piece. Also, it can be hard to tension the chain just so that it exactly matches the height of the dc stitches. This can make the edge of the piece (when worked flat) less neat than desired. 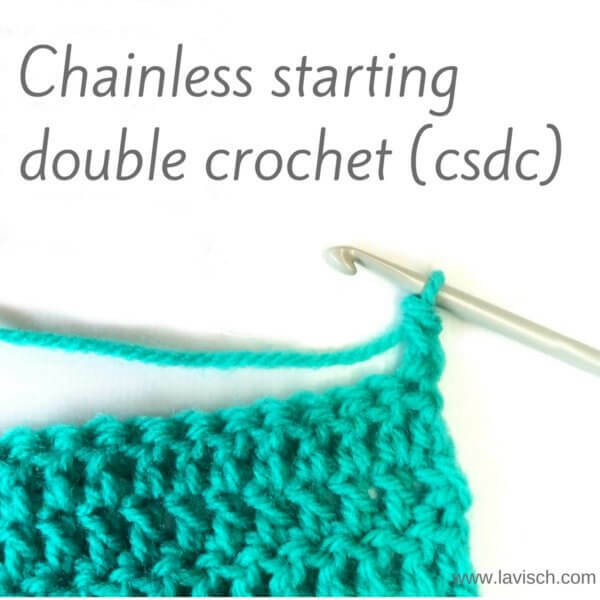 Fortunately, there is a solution for this: the chainless starting double crochet stitch or csdc for short. 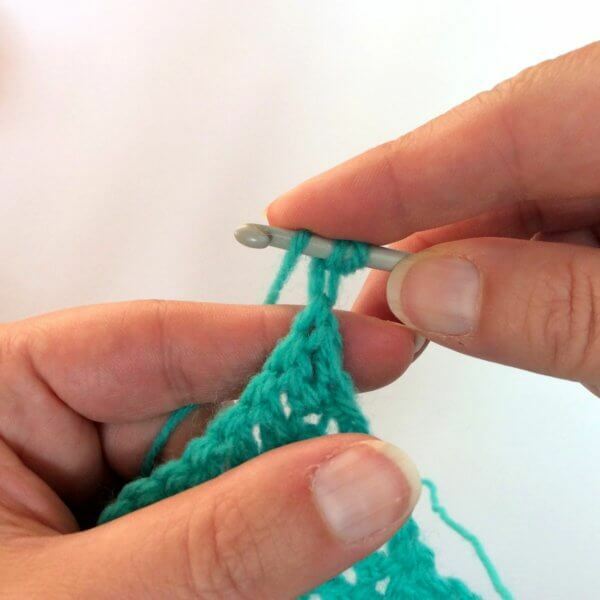 This is the perfect way to make a starting stitch that more closely resembles both the height and thickness of a regular dc stitch. Please note though, that this method is best suited for continuing in the same color yarn. 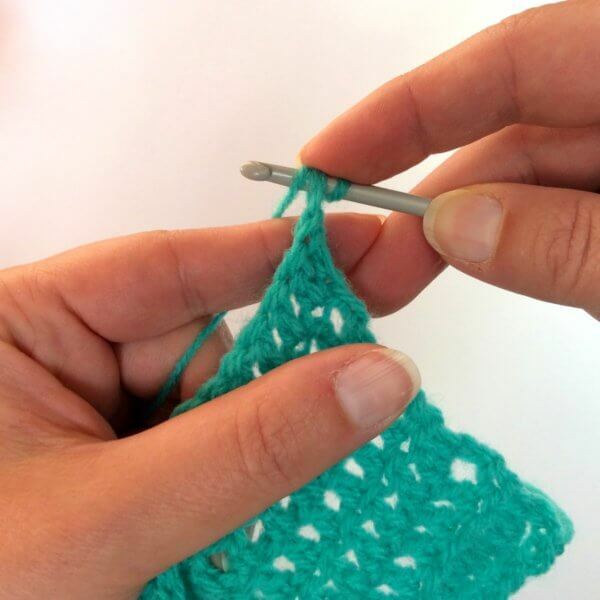 When changing the yarn color, using a standing double crochet stitch instead is advised. For this, I will also make a tutorial soon! 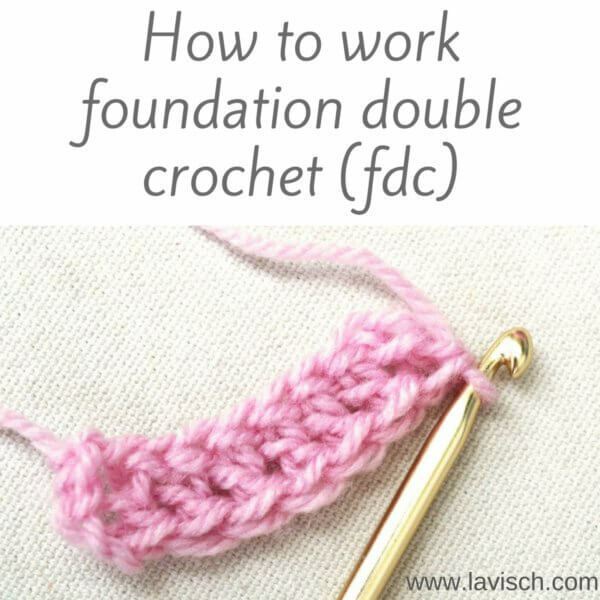 In this post, I will show you how to work the chainless starting double crochet stitch when worked flat. Notes on how to do this when working in the round can be found below the step by step instructions. 1. 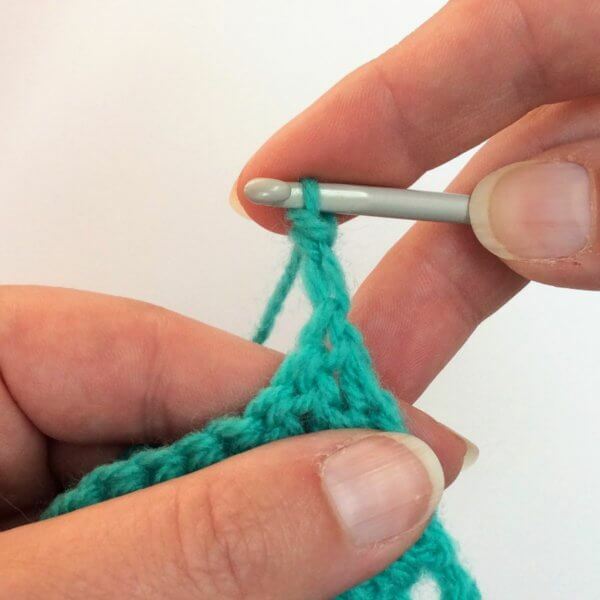 To start the csdc stitch, pull up the loop on your hook approx. 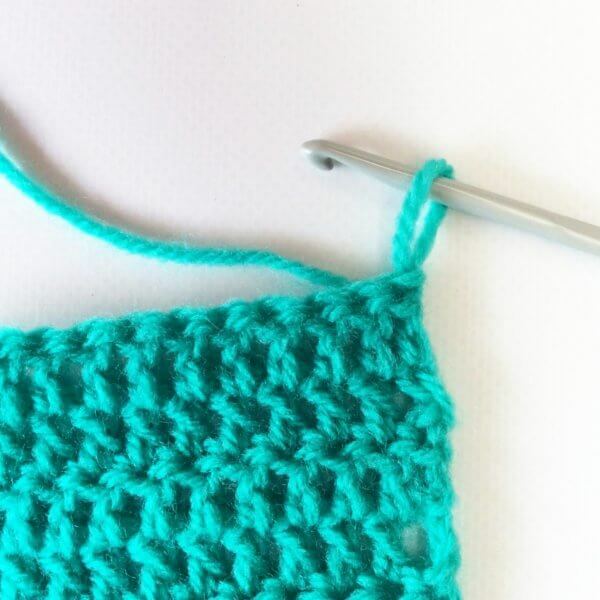 to the height of a regular double crochet stitch. 2. Hold the elongated loop in place on your hook with your finger…. 3. … and twist the hook counter clockwise down towards you, wrapping the lengthened loop around your hook. You now have the original loop around your hook as well as an extra double strand. 5. …. and pull it through the double strand on your hook. 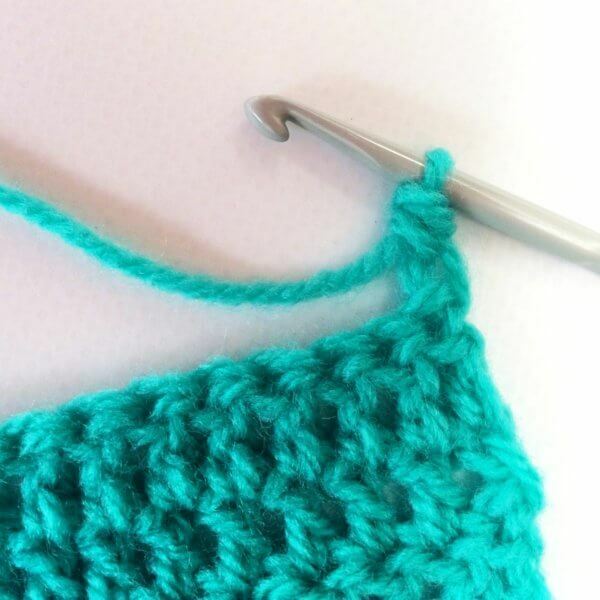 Treat it as the first 2 loops on the hook as you would while working a regular double crochet stitch. 7. …. And pull it through the remaining the 2 loops on the hook to complete the stitch. And that’s it! Now you’re ready to continue your pattern in the other stitches of the row or round. Using a csdc stitch when working in the round is basically the same as when working flat. 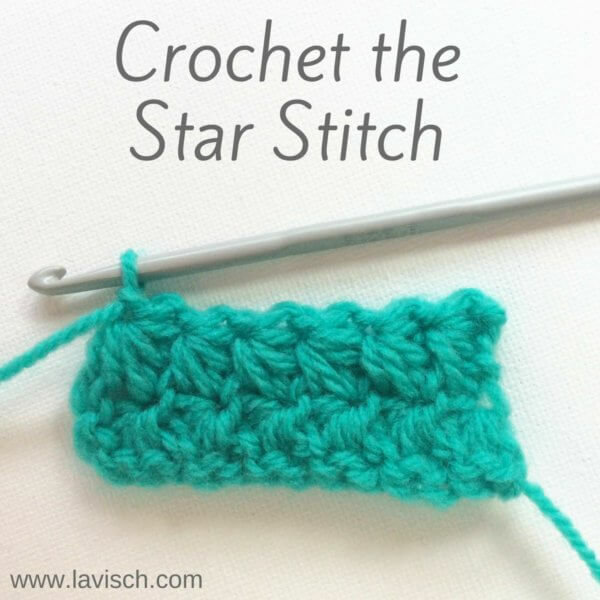 The main difference is of course that in projects worked in the round, the last stitch has to be joined with the first one of the round by using a slip stitch (sl st). 1. Slip stitch in the top of the first stitch of the round. 2. 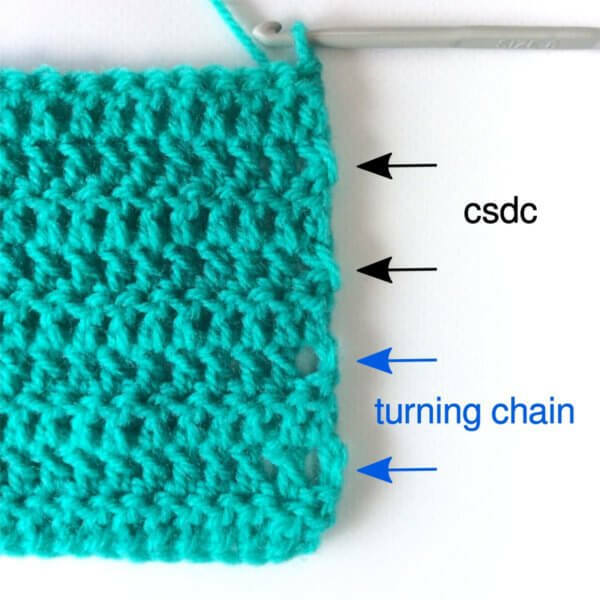 Work the chainless starting double crochet stitch as described above. 3. Work the rest of the round. 4. 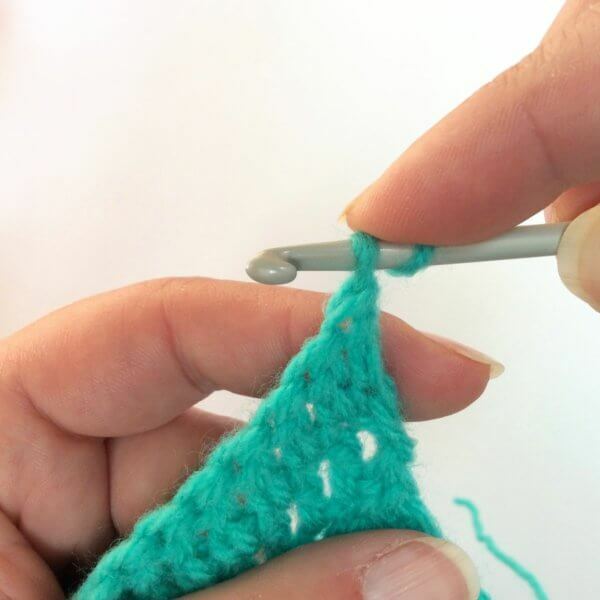 Join in the round by working a slip stitch into the top of the csdc as you would with a regular dc stitch. 1. 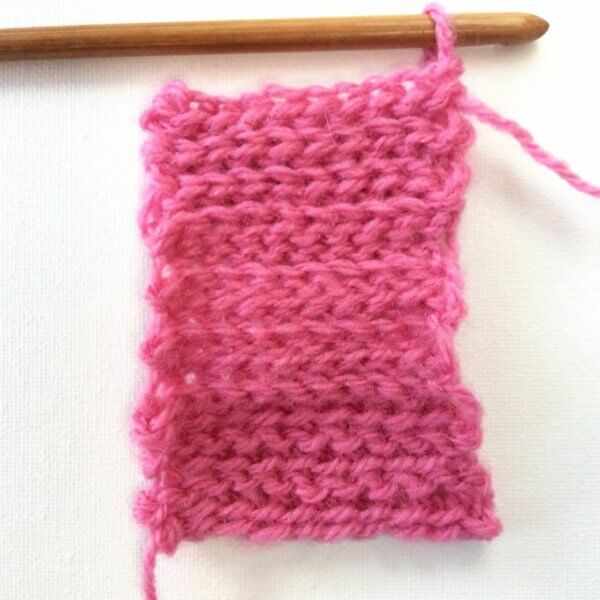 To pull up a loop in step 1 as described above to match the height of the intended stitch. 2. Adjust the number of wraps (step 3 as described in the csdc step by step instructions above) to match the number of “loops on the hook” with those from the intended stitch. Each wrap hereby represents 2 loops. 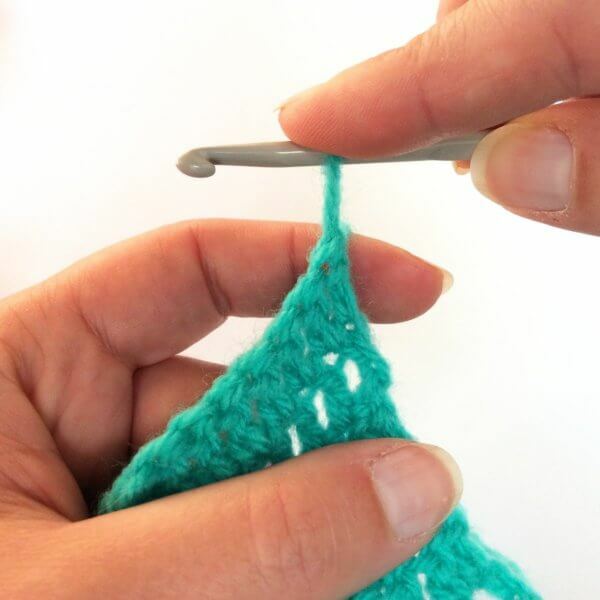 This technique lends itself less well for stitches shorter than the double crochet. But then, for those is the starting chain also less of a problem in looks.